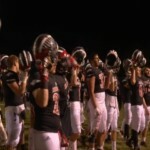 REED CITY – After two decades under the helm of head coach Monty Price, the Coyotes will have a new leader. But he’s really not that new. Scott Shankel will be taking over the program for the new season. Shankel has been with Reed City for the last 14 years and over the last eight, he was the defensive coordinator. 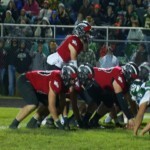 Shankel takes on a program that is coming off eight conference titles and nine playoff appearances. “We’re going to keep the CUJO Nation legacy going and if it ain’t broke don’t fix it,” said Shankel. His biggest challenge in taking on this new role is going to be filling the positions of the strong senior class, who had seven players who are continuing on at the next level. “We got some underclassmen who got some big shoes to fill. There’s no doubt about it. 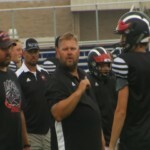 But they’ve said it for the last eight years and you know so far we’ve had kids step up and that’s what I told them, nothing’s been given to us, it’s all earned,” Shankel said. The Coyotes open their 2019 season against Montague on Friday, Aug. 30.